You are looking for a simple solution for an all-in-one messenger integrated into your CRM solution? Well, then you’ve come to the right place. We work tirelessly to develop thismo messenger further for our business customers. 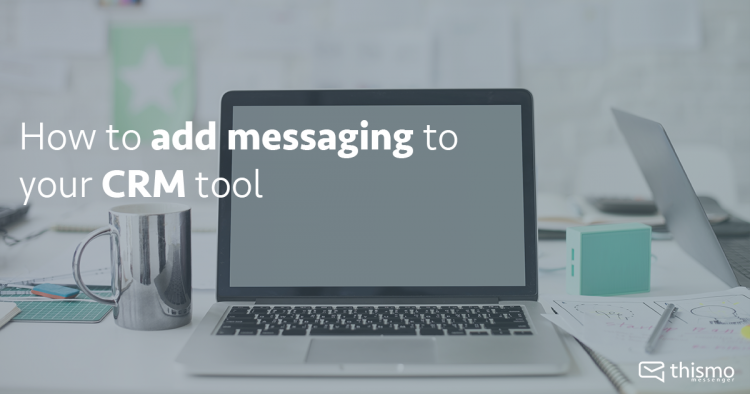 Our first step to build a simple tool that allows businesses to respond all requests from different messaging services from one app. That means that companies have every customer message transmitted available in the same app, regardless over which messaging service. Whether it’s Facebook Messenger, web chat, text messaging or any other. The next issue we want to solve for businesses is how to connect existing customer contacts from your CRM tool. With our simple all in one messaging service you get a full overview of the messaging conversation and reach them on their mobile. So, we’re developing a tool to connect the thismo messenger business gateway to your sales force. It stands out for easier request handling and better customer engagement. All your customers are using messaging one or more messaging services personally. With the thismo messenger gateway your customers decide how to connect to you without any additional effort for you. But somehow you need to know which customer is talking to you right now. Not always the name or phone number is enough. For that we are working on an integration of thismo messenger into your CRM system. With the integration you are able to connect any customer conversation with the correct customer record in your CRM and get a full overview of the whole customer communication. To make the connection it will be helpful to have customer contact details like email and mobile phone numbers already available in your CRM data. Once connected you can reach your customer mobile on the connected messaging channels and just drop a message about anything you need to tell. You’ll have all customer information connected with all the messaging communication to get a full overview of a customer. Your customers can choose which messaging service they want to use to connect with your business. You will get all messages in the same interface. Once your customer contact is connected with the messaging service the customer has chosen, you can reach him directly on the smartphone and continue the conversation.